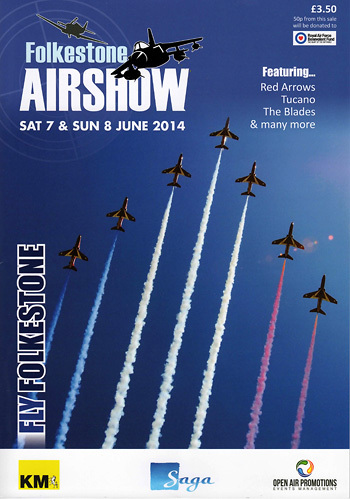 Folkestone returned as an airshow venue in 2014 with a new event based back on the Leas, the traditional spot for the famous Shepway Festival Airshow. 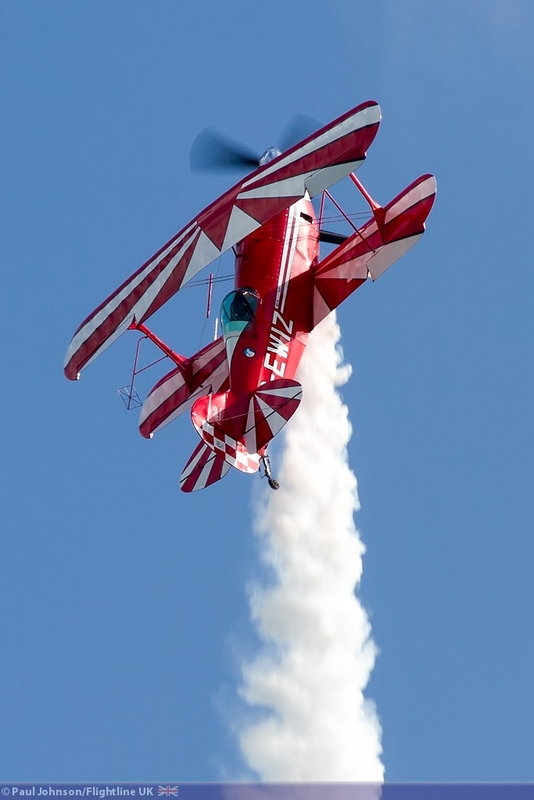 This new event was put together by a new company, Open Air Promotions, who have been very busy in the last year fund-raising to get the event off the ground. 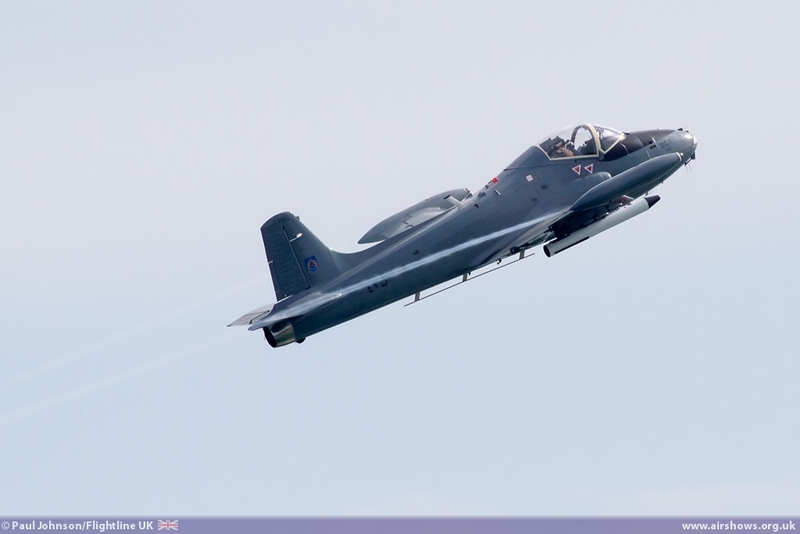 The Air Displays which featured a wide range of military and civilian operated aircraft were just part of a wider event that also featured evening concerts and fireworks displays held over two days. 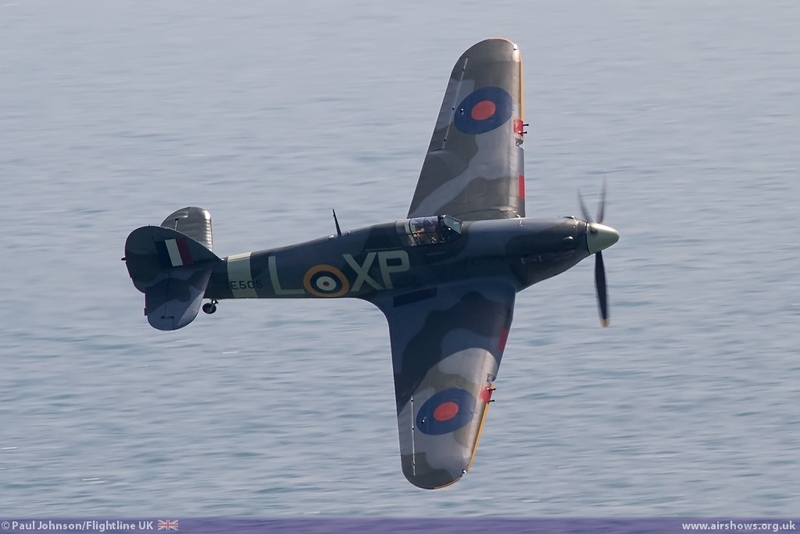 The Leas in Folkestone have to be one of the most unique venues on the airshow calendar. 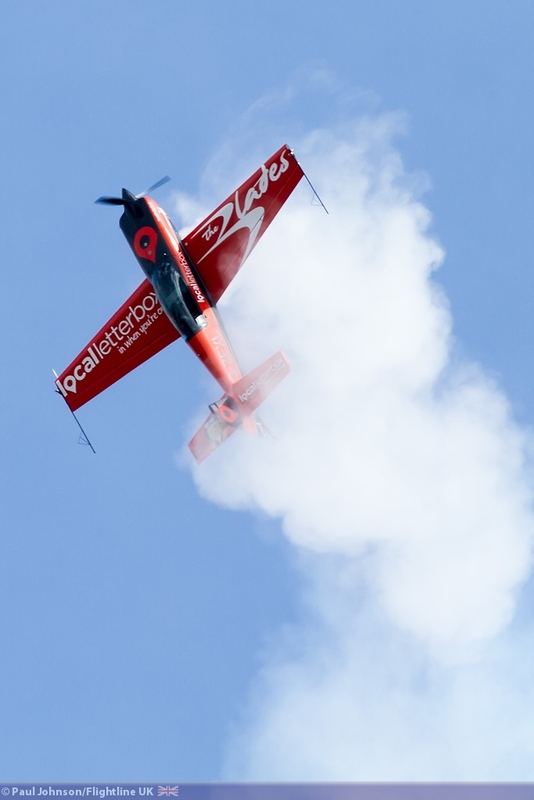 The show site is on the 200ft high cliffs overlooking the English Channel, and on a good day spectators have the cliffs of Northern France. 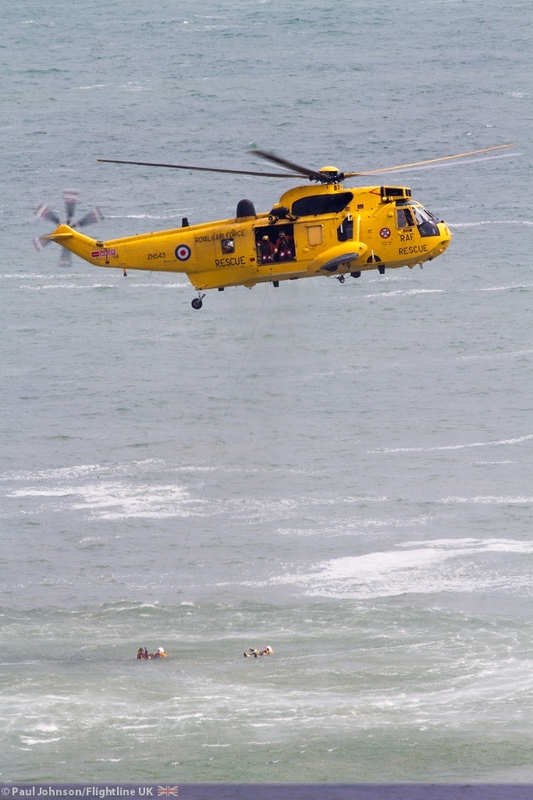 Those high cliffs often mean that aircraft are displaying at eye level if not a little bit below spectators watching from the cliff tops! 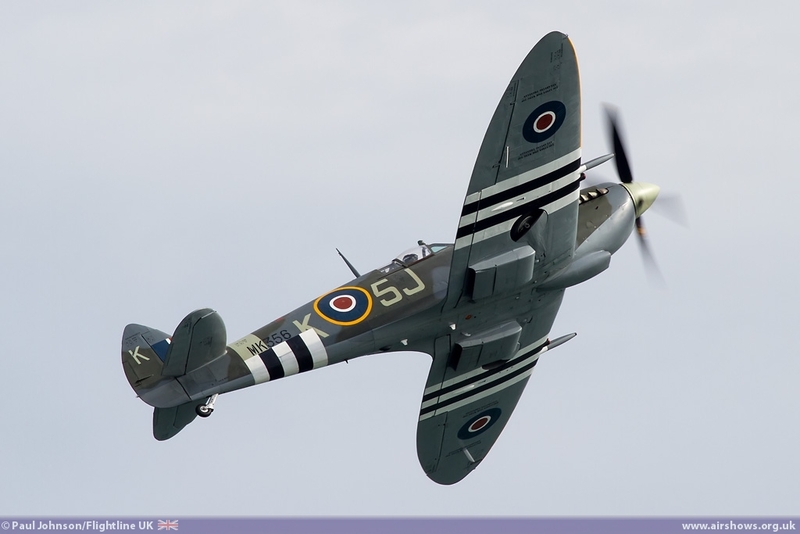 The Leas first became a major airshow venue during the 50th Anniversary of the Battle of Britain in 1990 when Shepway District Council organised an air display in 1990. 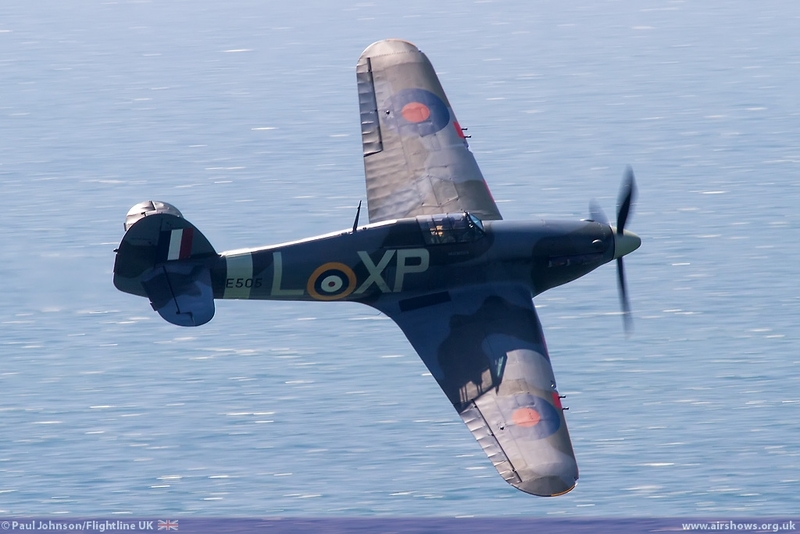 That grew into the hugely popular Shepway Festival, a major town event on the Leas that culminated in the Airshow on the final Sunday. Sadly, the final Shepway organised event was in 2003. 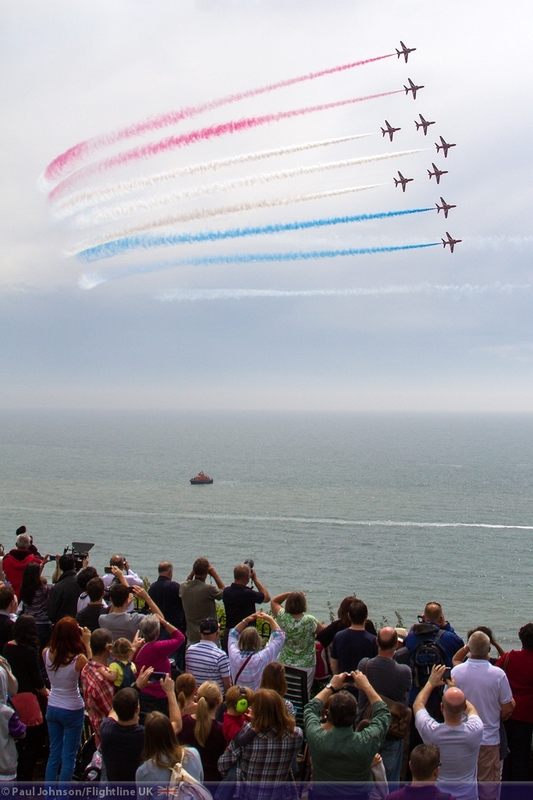 The Queen's Diamond Jubilee however saw air displays return to Folkestone with the Jubliee Airshow organised by the Folkestone Town Centre Management centred on Folkestone Beach rather than the Leas. 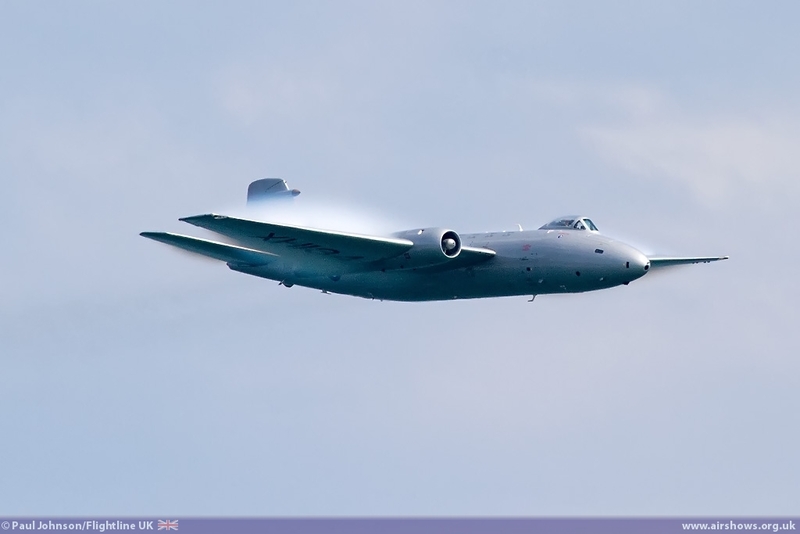 However, many spectators at that event still chose to watch the event from the Leas. 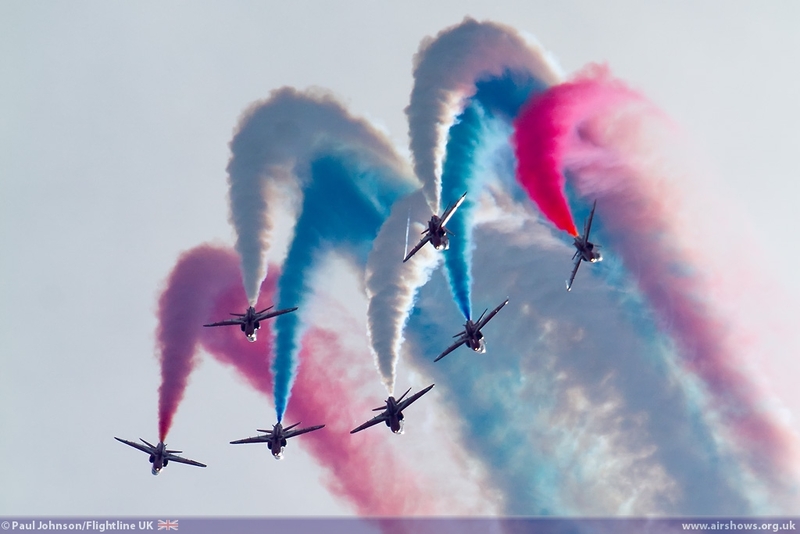 The Jubilee event led to an attempt to revive the show into an annual event with plans for the newly branded Folkestone Airshow in 2013. 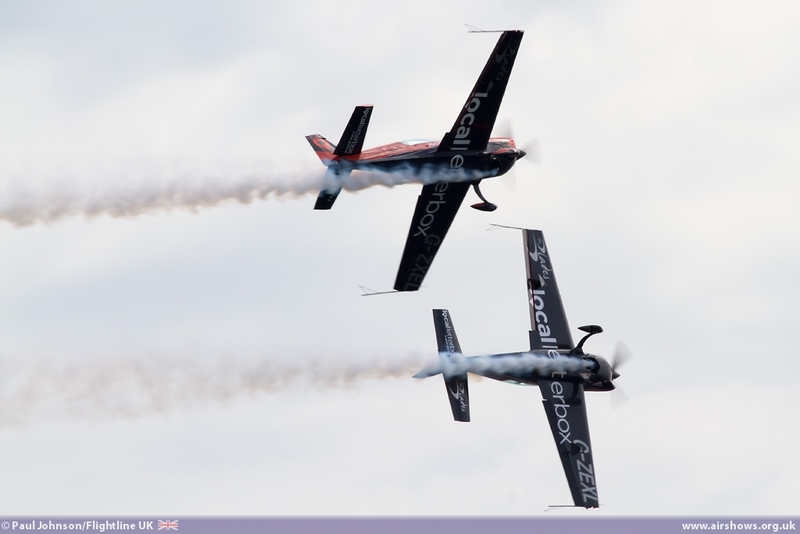 However, the event's organisers were not able to secure enough funds to run the event that year. 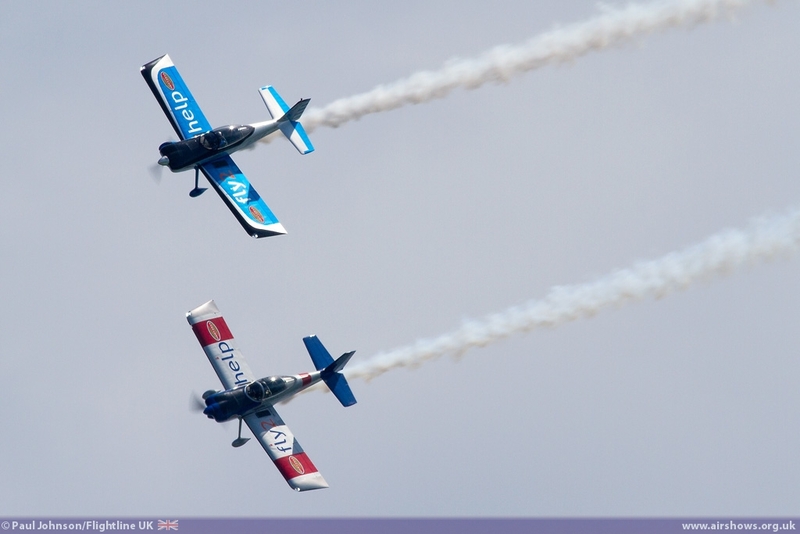 Undeterred, they refocused on 2014 and formed Open Air Promotions. 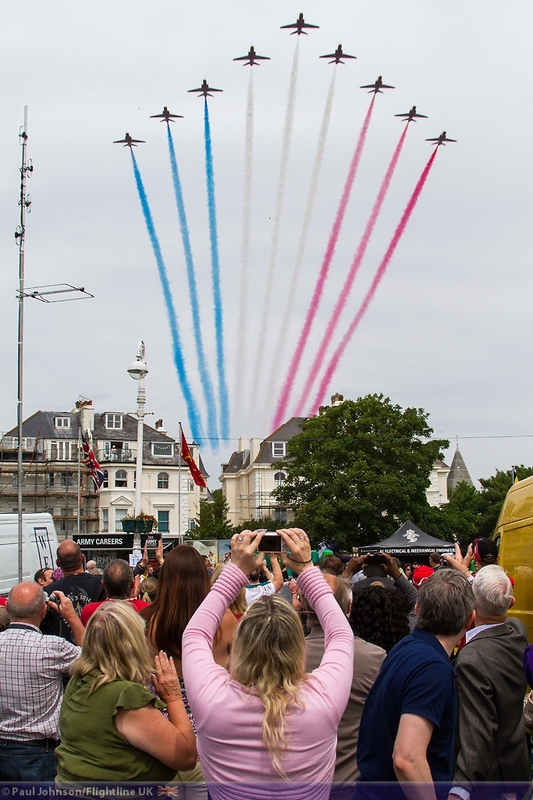 The last year has seen Open Air run lots of smaller events to raises funds such as Open Air Cinema events on the promenade to support the airshow funding. 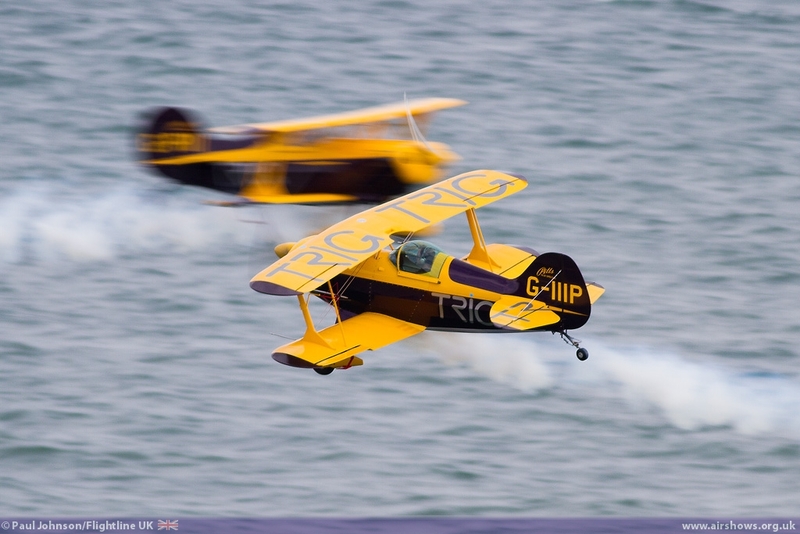 That hard work paid off, and the Folkestone Airshow returned with a new two day format. 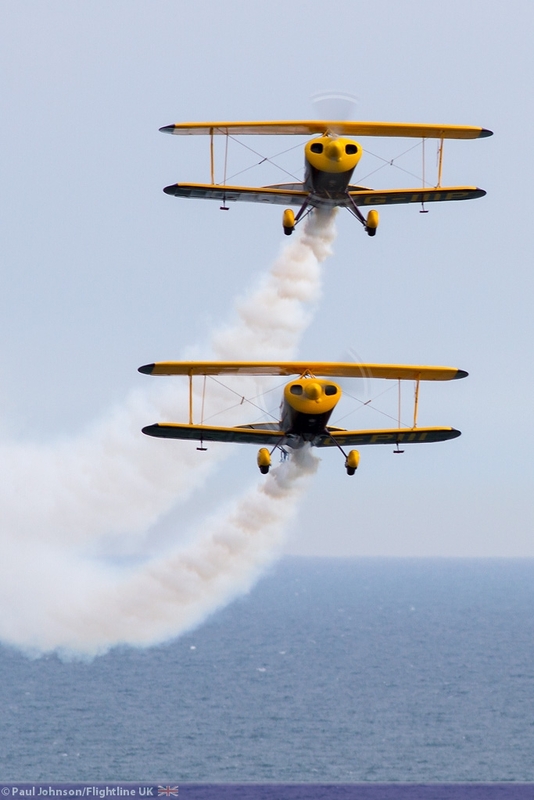 The event, dubbed "FlyFolkestone" on Social Media like many other seaside events was far more than just flying displays. "Community Stages" featuring various local musicians as well as larger evening concert and fireworks displays. 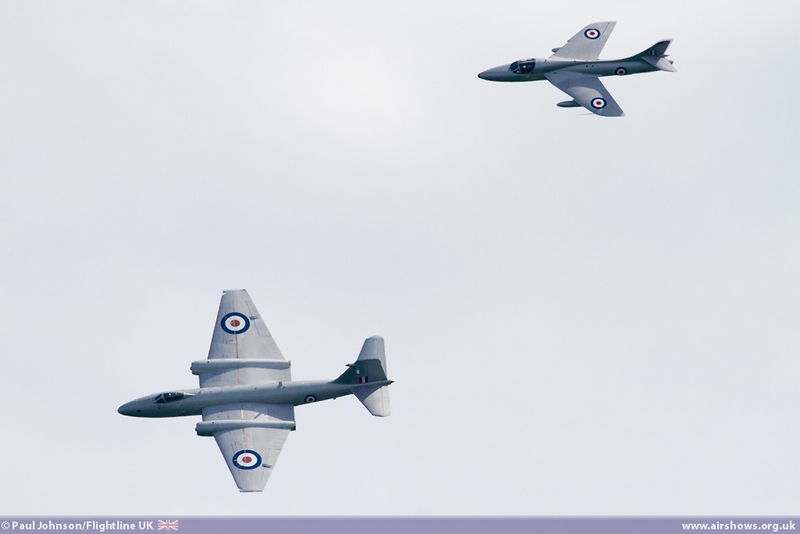 The flying took place over two days, though the Saturday display saw the bulk of the flying action. 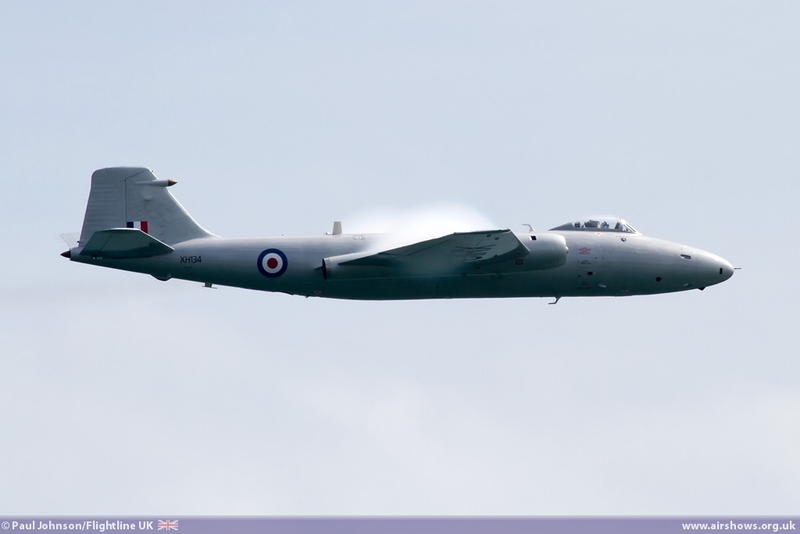 Weather forecasts for the Saturday in particular looked rather bleak in the week before the event but after a heavy shower on Saturday morning, the event enjoyed good weather throughout the weekend. 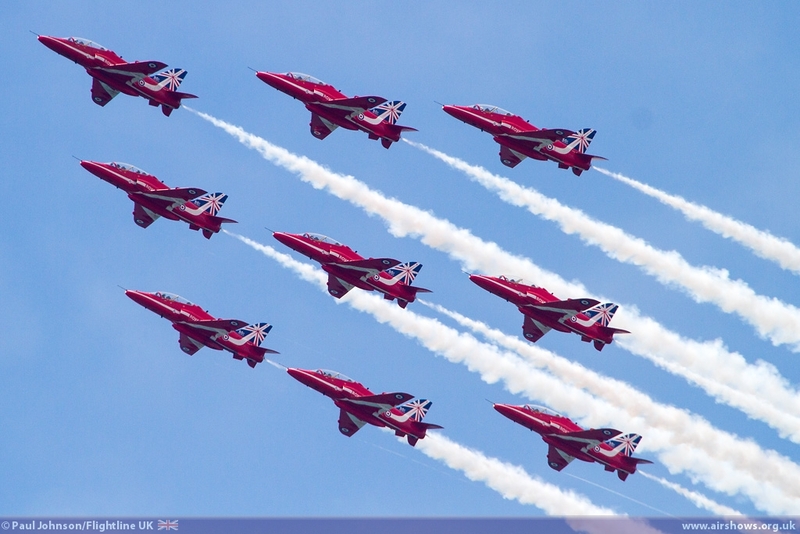 Opening Saturday's show were the Red Arrows flying in from Biggin Hill. 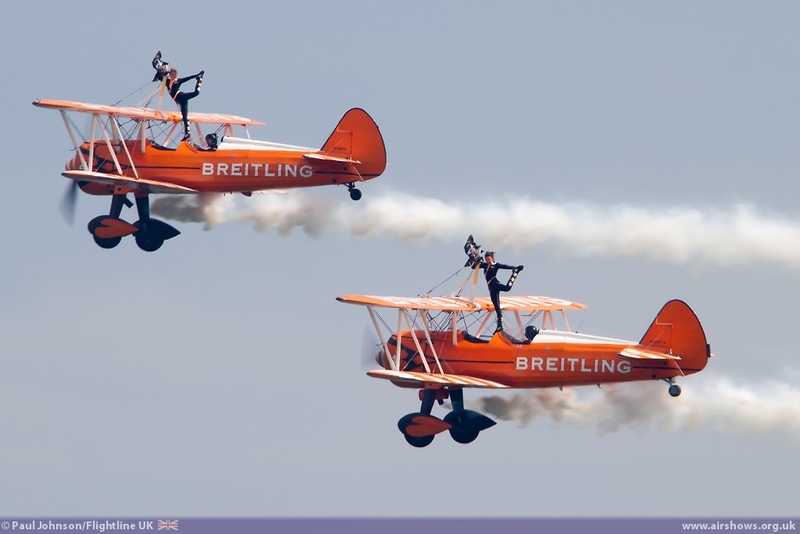 The team were in their first week of public displays following their return from their training in Cyprus. 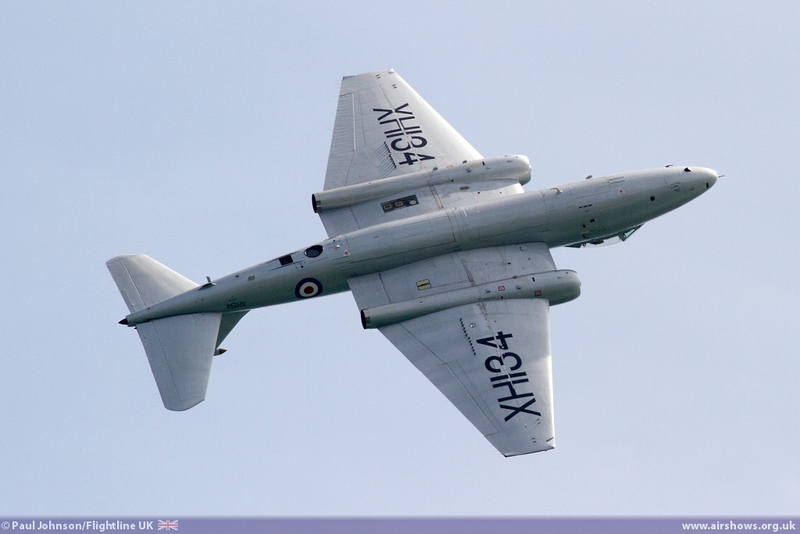 The team's jets have received special tail markings for the 2014 marking the team's 50th Display Season. 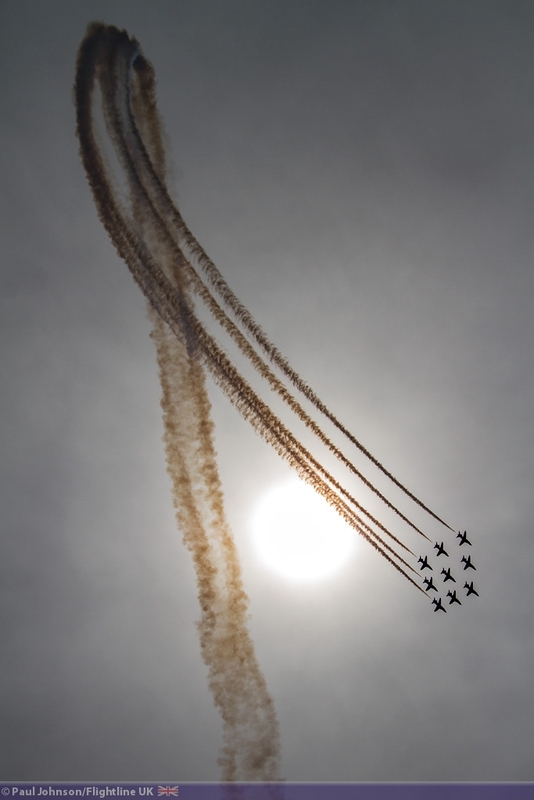 It was great opening to the show with the clearing skies allowing the Reds to go full with an excellent new display for this year. 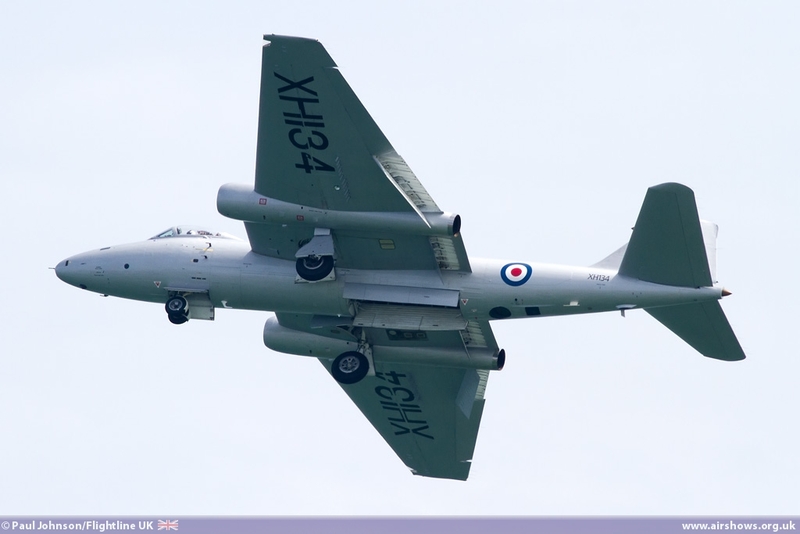 Saturday saw quite a few RAF displays. 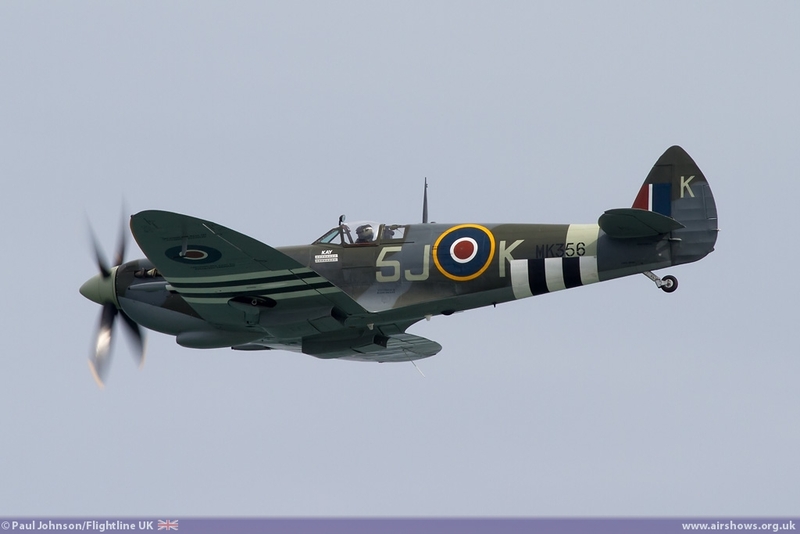 The Battle of Britain Memorial Flight were suffering from unserviceable aircraft following the major D-Day commemoration which meant that just the solo Supermarine Spitfire LFIX flown by Flt Anthony Parkinson made it to give an emotive display over the Channel. 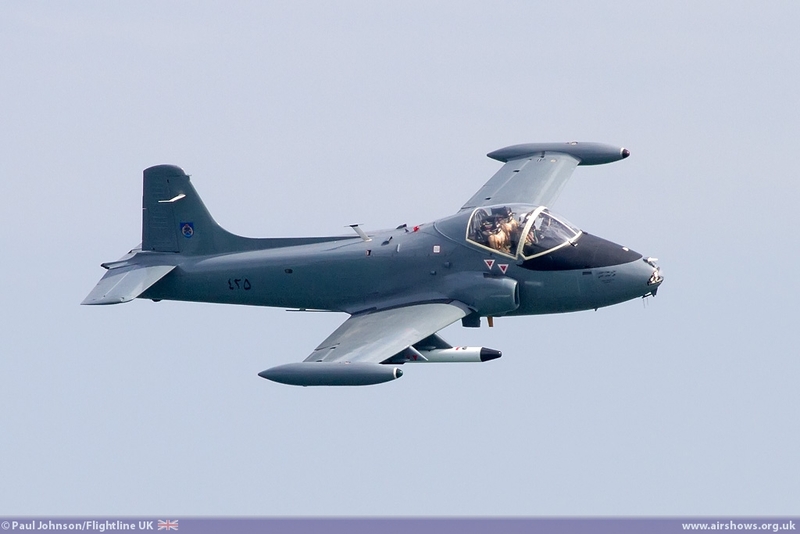 The two training aircraft solo displays also appeared on the Saturday. 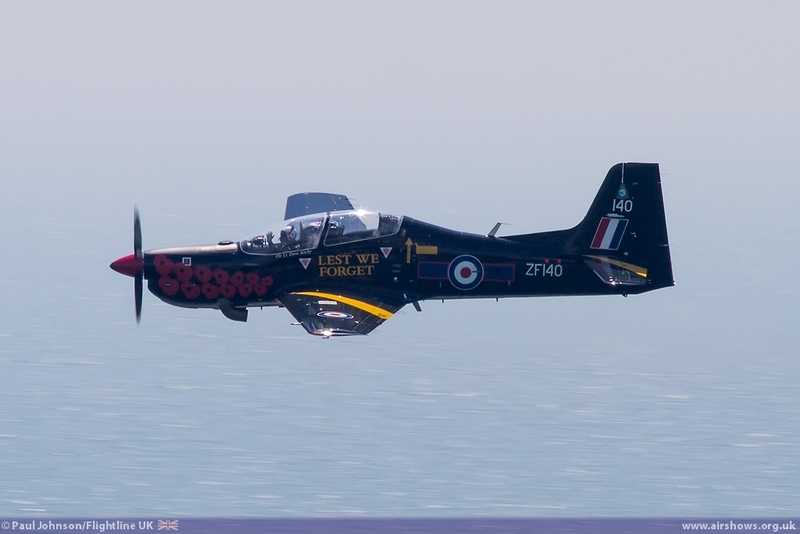 Flt Lt Dave Kirby flew the distinctive display Shorts Tucano T1 wearing its First World War Centenary special scheme with poppies on the nose and underside. 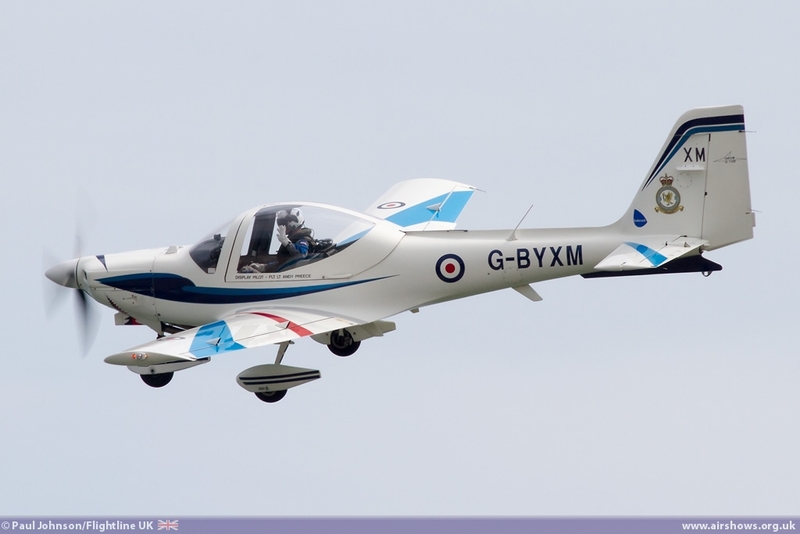 Folkestone also marked a welcome return to the display circuit by the Grob Tutor from 16[R] Squadron flown by Flt Lt Andy Preece. 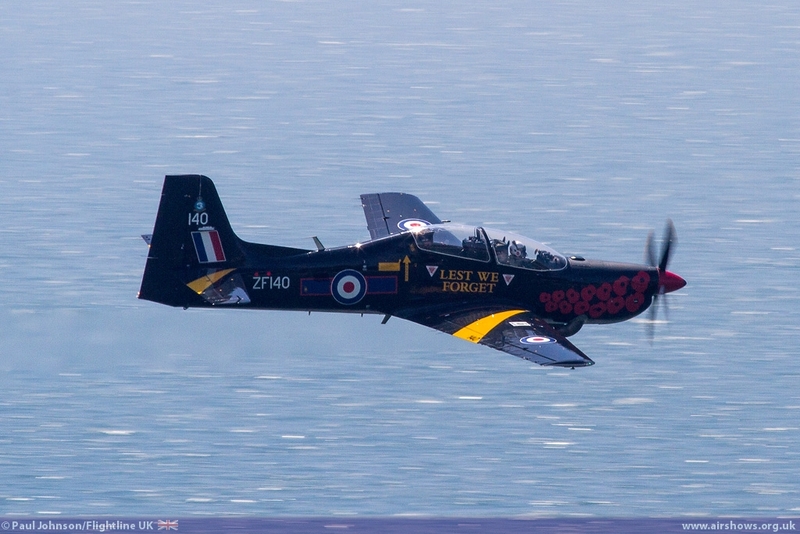 Folkestone was the first public display by the Tutor in 21 months as the aircraft have all been modified following some issues with the propellers and engines. 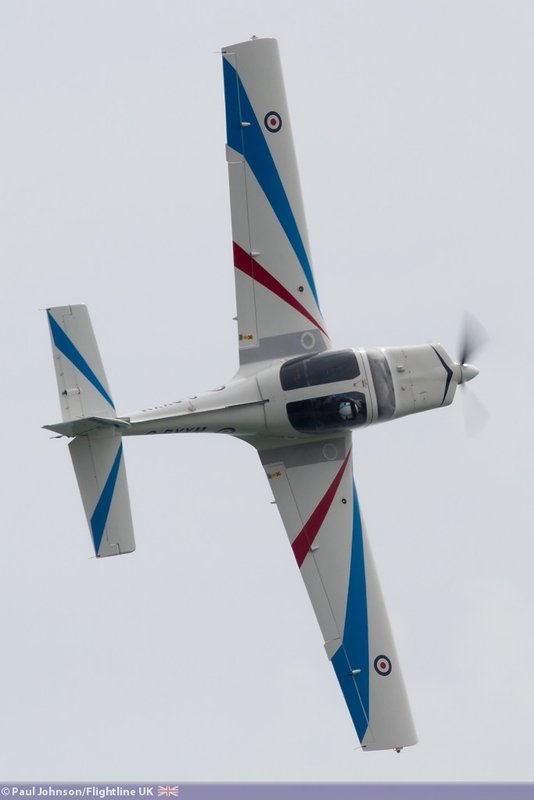 Andy previously displayed the Tutor in 2007 and 2008, but his display for 2014 is completely new and is much lower with the base height for aerobatics down to 300ft which keeps the action much closer to the crowd. 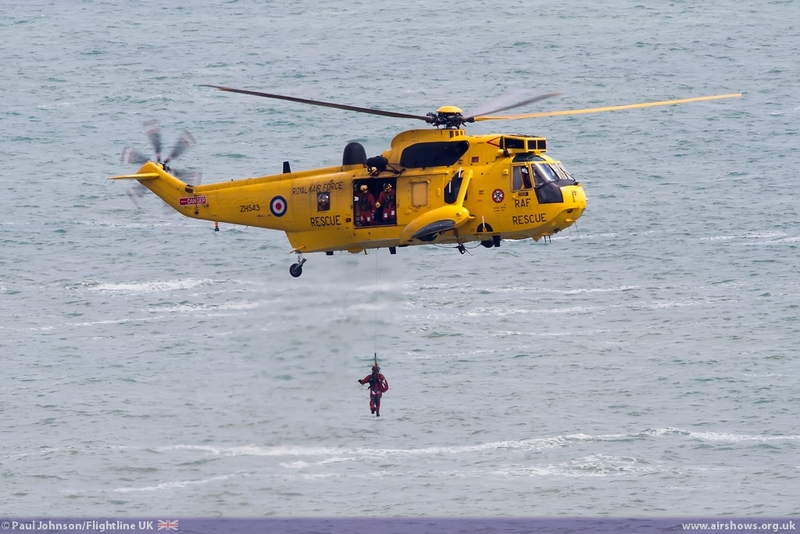 Completing the Royal Air Force involvement was a Westland Sea King HAR3A from RAF Wattisham. 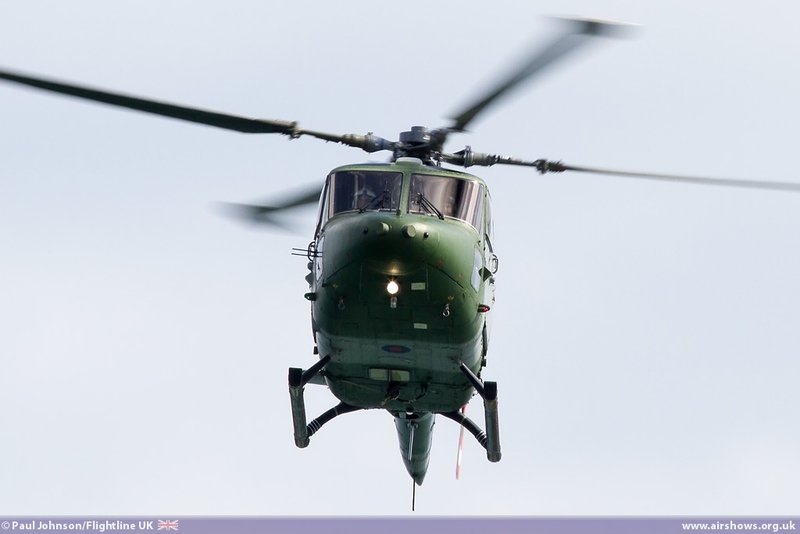 The big yellow helicopters are a rare sight at airshows, and are in the twilight of their service as they will be replaced by civilian operated helicopters in the next few years. 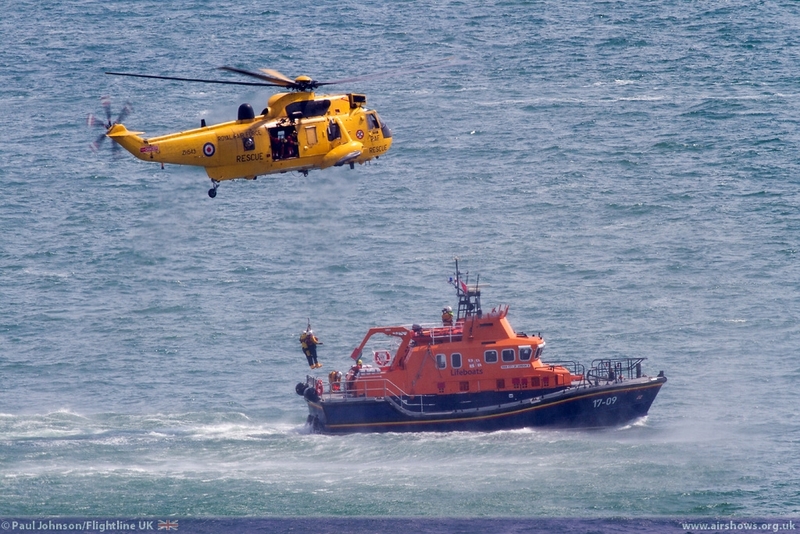 Folkestone saw the Sea King perform a role demonstration with the RNLI recusing two people from the sea before transferring them to the offshore lifeboat. 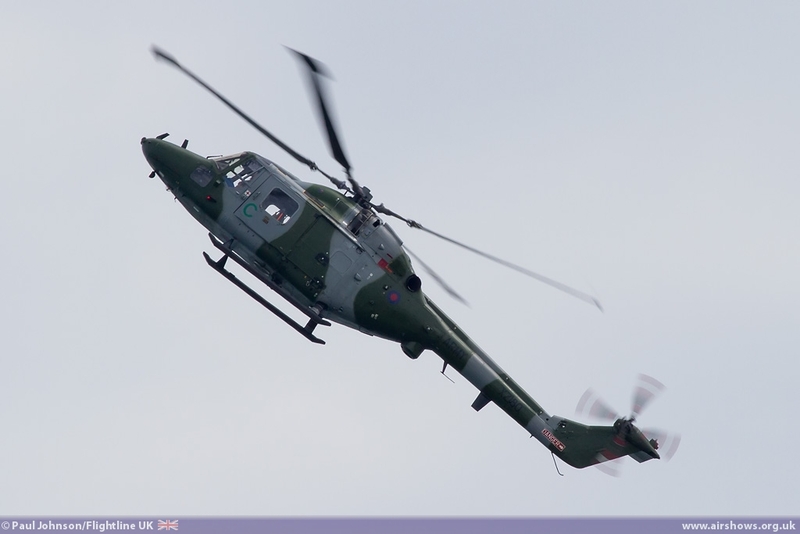 Further military participation came from the Army Air Corps who sent their Westland Lynx AH7 solo display. 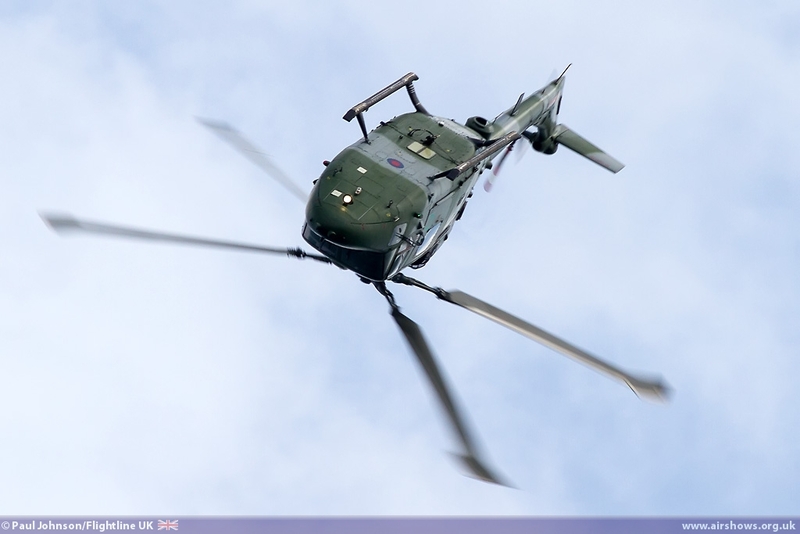 It was the Lynx AH7s first major airshow of the season and the display is as dramatic as ever with the helicopter performing loops, rolls, half Cubans and the trademark backflip which never ceases to amaze the crowd. 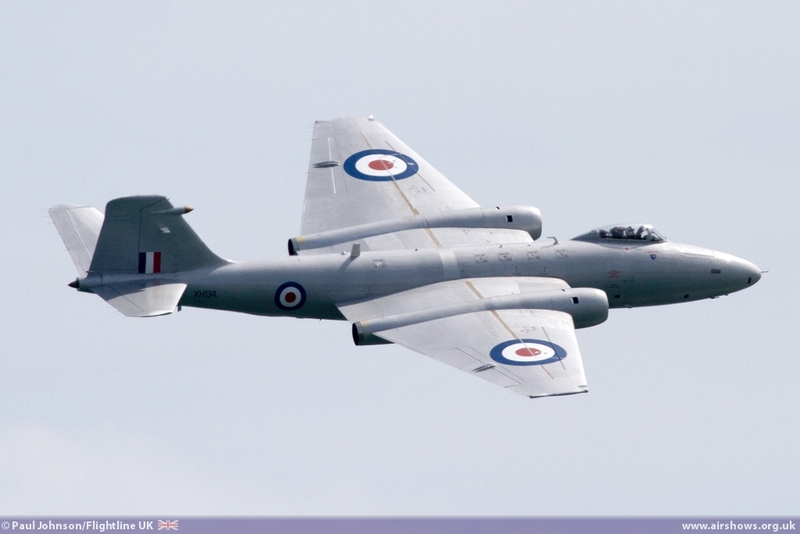 It is sad however to think that 2014 almost certainly marks the final year we'll see this display so make the most of it before its gone for good! 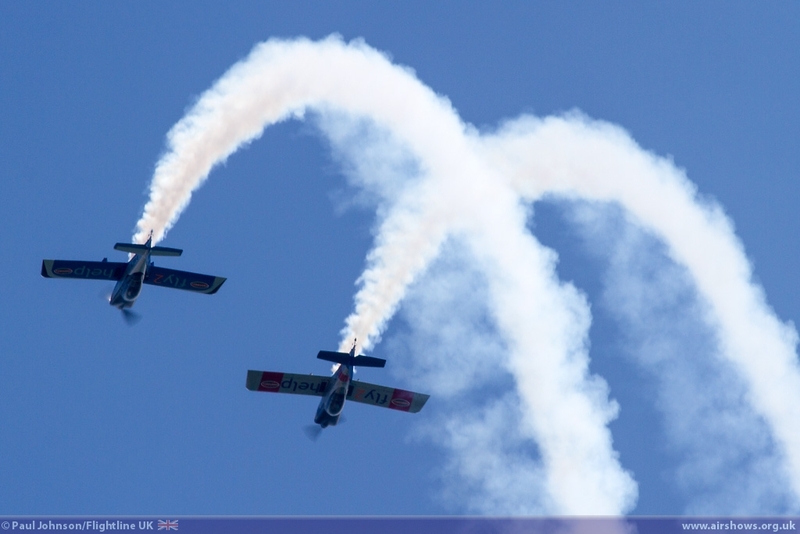 Seaside airshows always see a great variety of civilian displays. 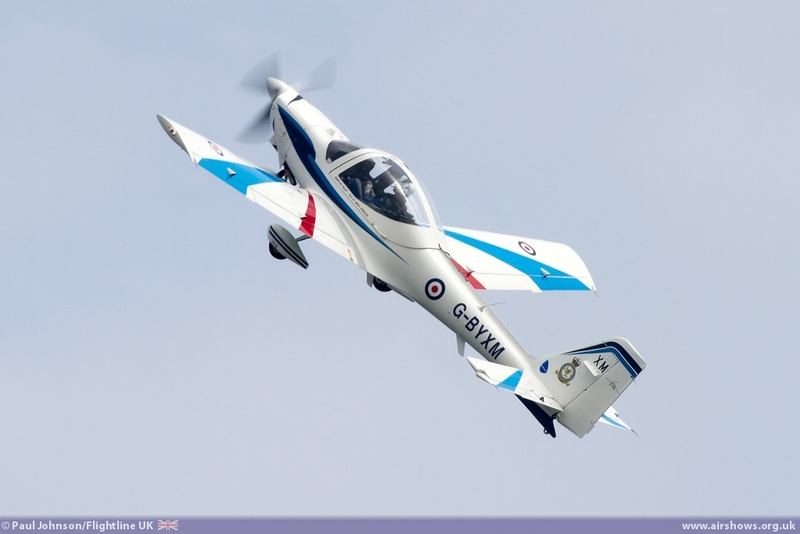 Saturday saw an appearance by the ever impressive RV8tors flying a pair of Vans RV8 aircraft. 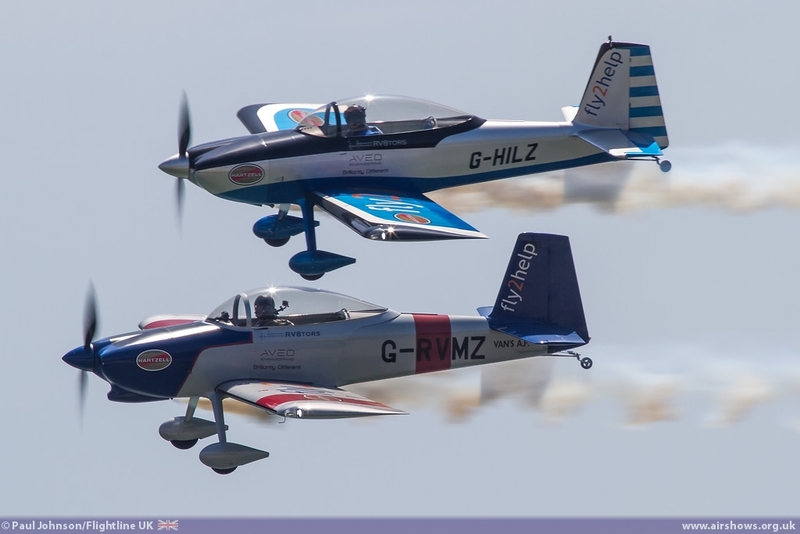 Alister Kay and Andy Hill always put on a great display with close formation loops and rolls that cover the entire crowdline. 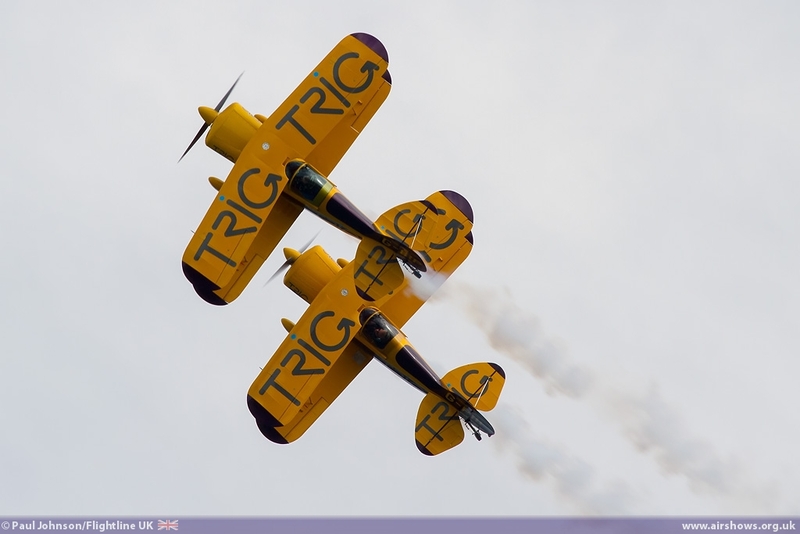 The TRIG Aerobatic Team appeared on both days with their Pitts S-1D Specials. 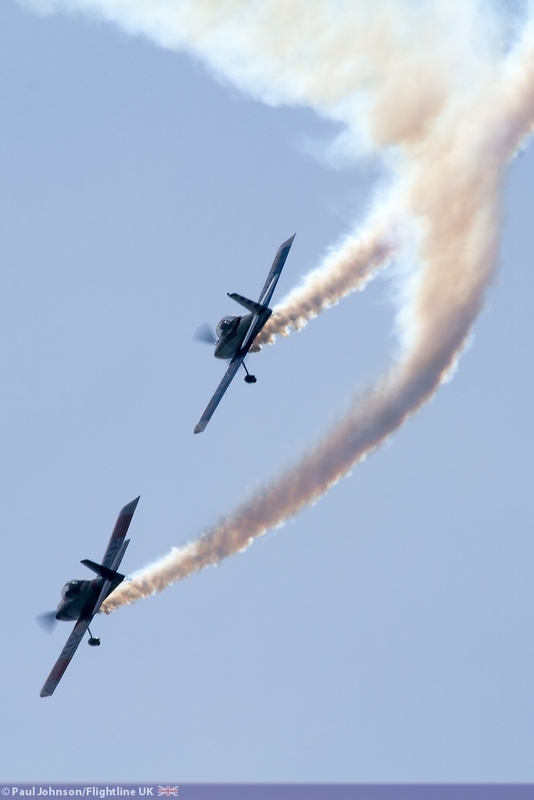 Richard Grace and Dave Puleston always put on a very fast paced display in their classic aerobatic biplanes and provided a fitting finale to Saturday's flying programme. 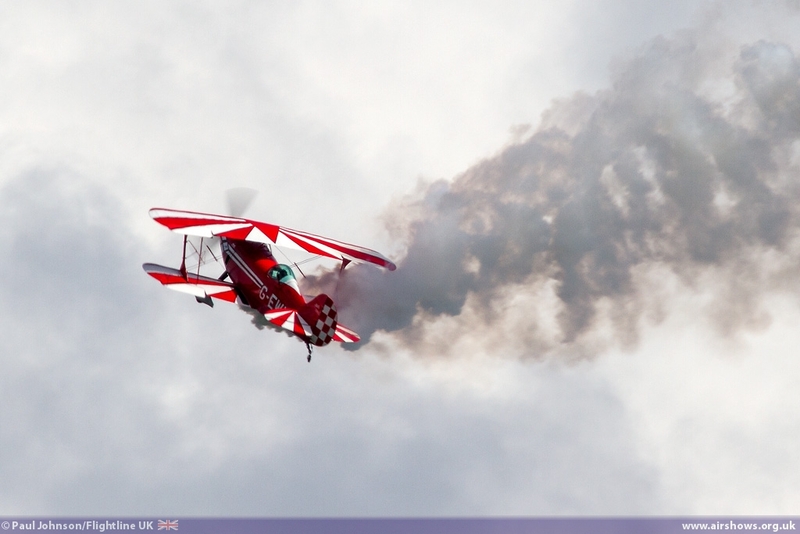 Staying with the Pitts Special theme, Richard Goodwin displayed his highly modified Pitts S-2S Special on both days too. 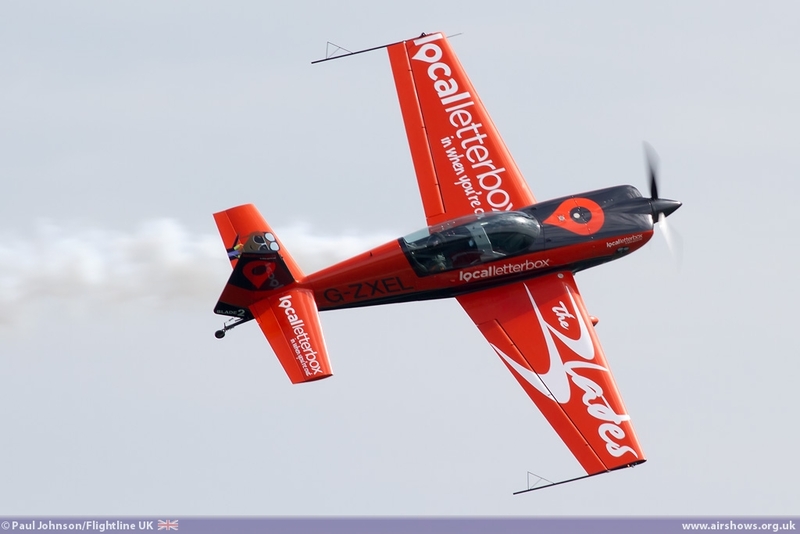 Known as the "Muscle Biplane", Richard's aircraft is capable some incredible aerobatics with some eye-catching manoeuvres such as a double hammerhead stall-turn and stomach churning tumbles. 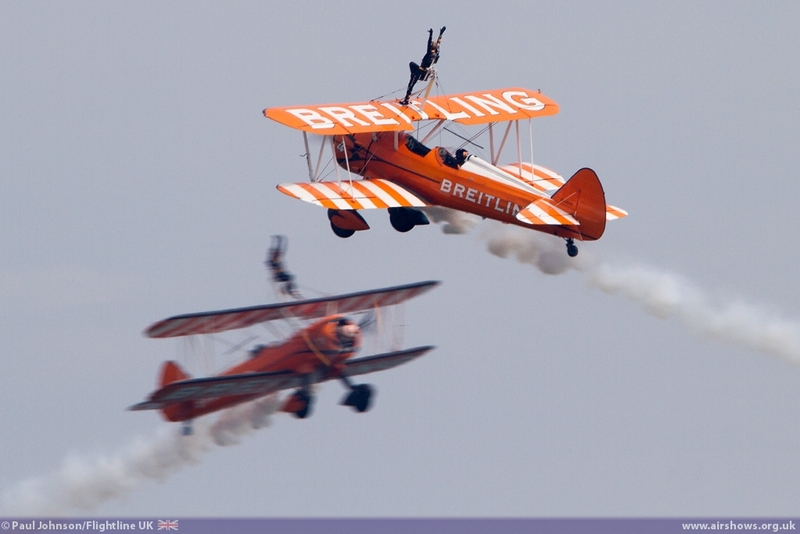 The Breitling Wingwalkers are always a favourite at seaside shows and they appeared on Saturday. 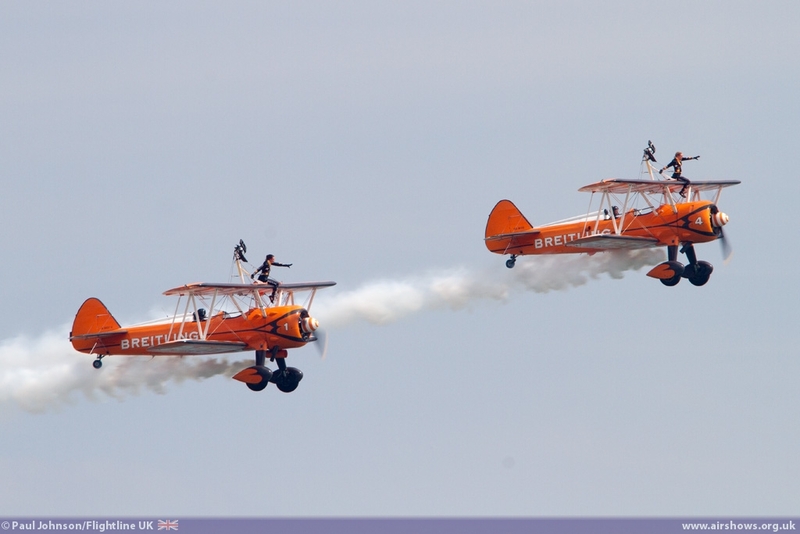 Pilots Steve Hicks and Al Hoy flew with wingwalkers Freya Paterson and Nikita Salmon on the top wing of their orange Boeing Stearman biplanes. 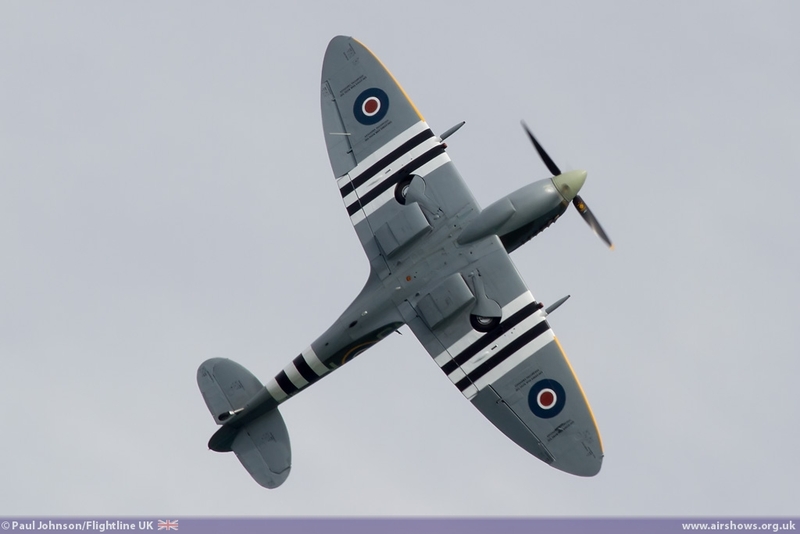 As well as the BBMF Spitfire, further warbird action came from the Biggin Hill Heritage Hangar's Supermarine Spitfire IX on the Sunday and Peter Teichman in his Hawker Hurricane IIb on the Saturday. 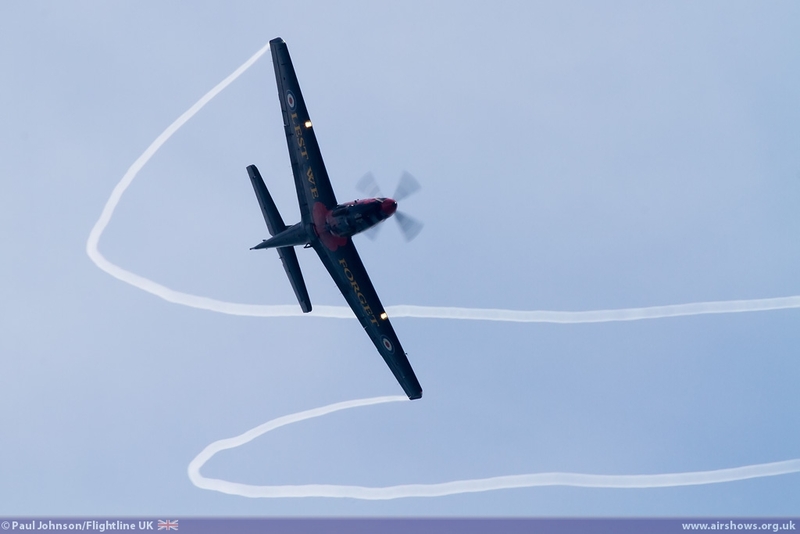 Peter made great use of the topography to show off his Hurricane curving around the cliffs at eye level during his lyrical aerobatic routine. 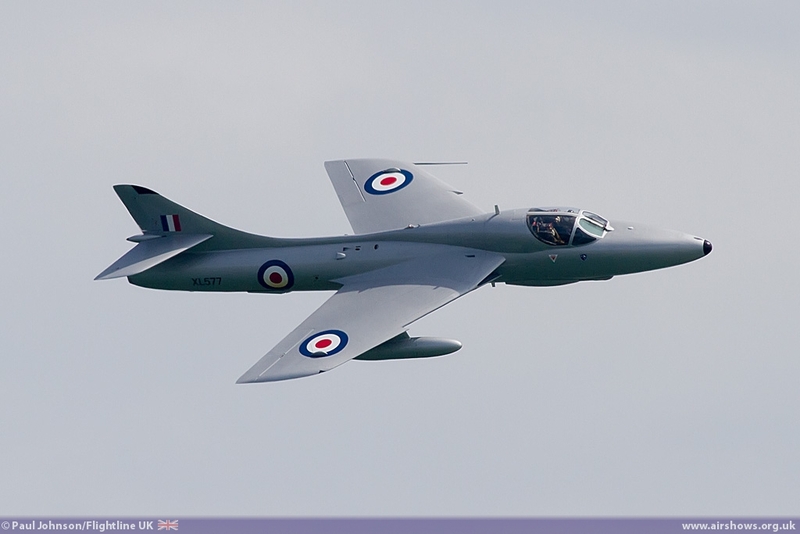 The show also saw classic jet involvement. 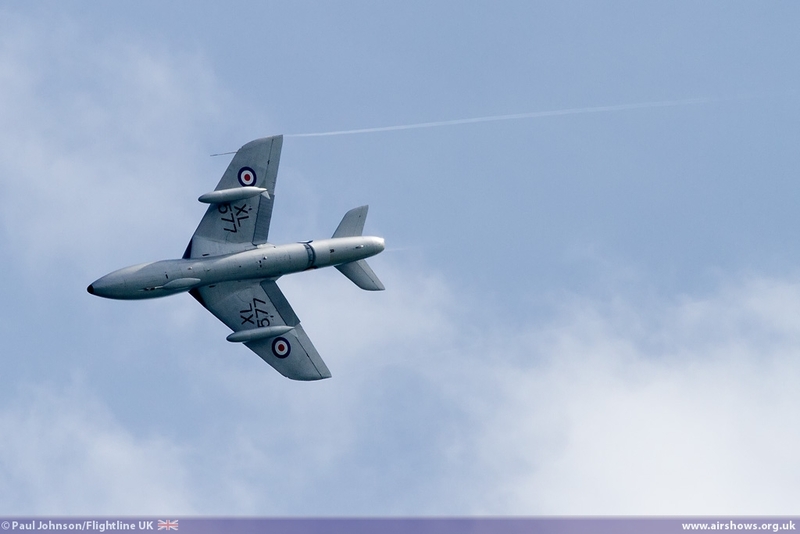 Mark Petrie displayed his BAC Strikemaster Mk82a on both days of the show. 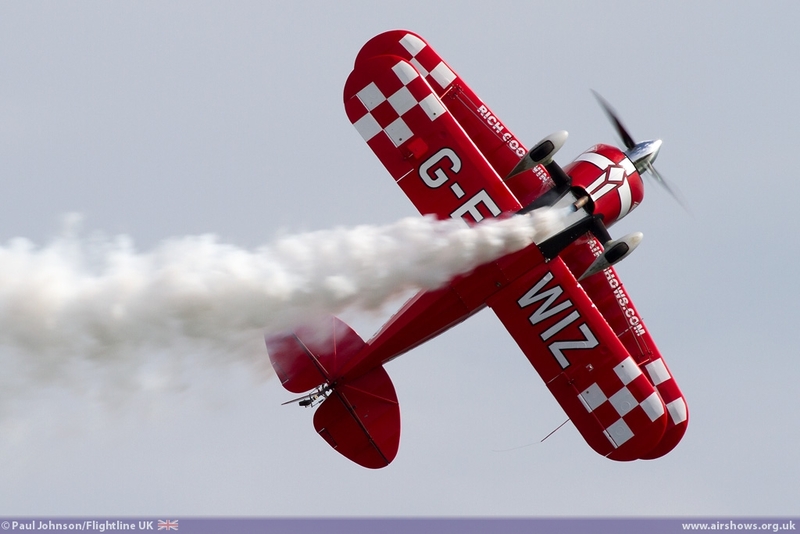 Mark's aircraft wears its original Omani colour scheme and has been fitted with a smoke system to highlight his flowing display of gentle aerobatics and sweeping passes. 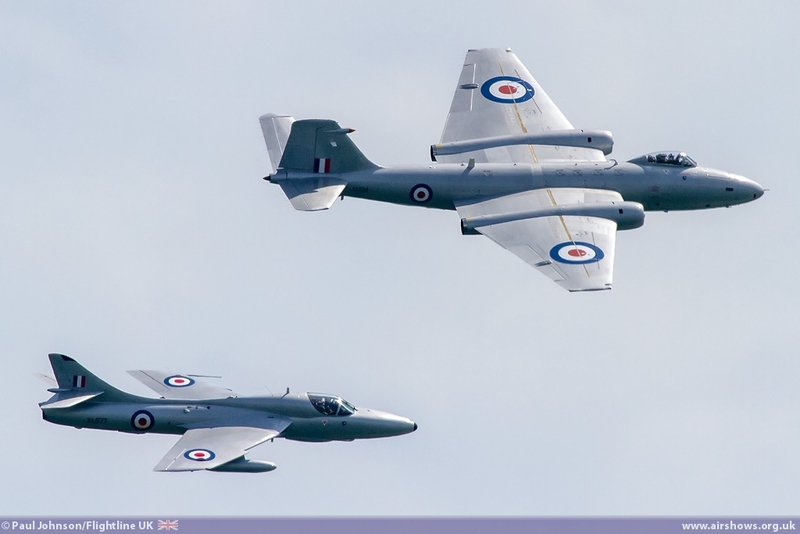 However, the star act of the weekend was the Midair Squadron with the pairing of BAC Canberra PR9 flown by Dave Piper and Hawker Hunter T7 piloted by Chris Heames. 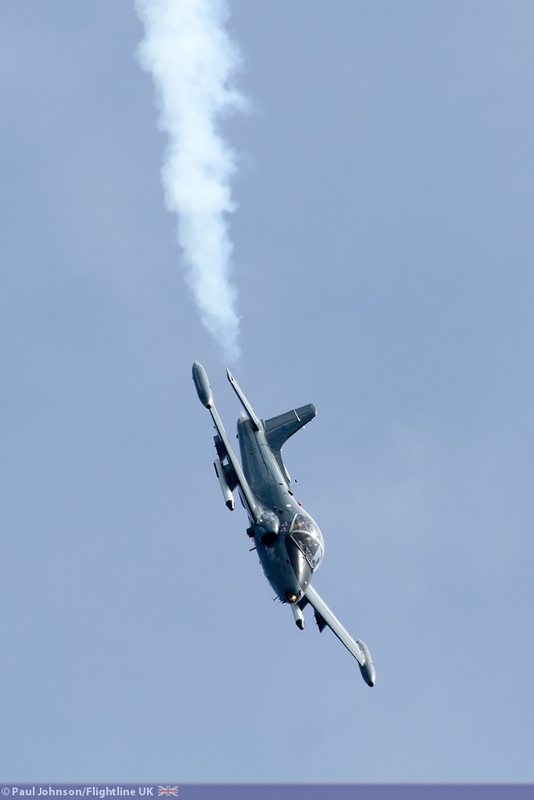 The pair were a fairly late addition to the flying programme but certainly got everyone looking skyward with their noisy duo and solo routines. 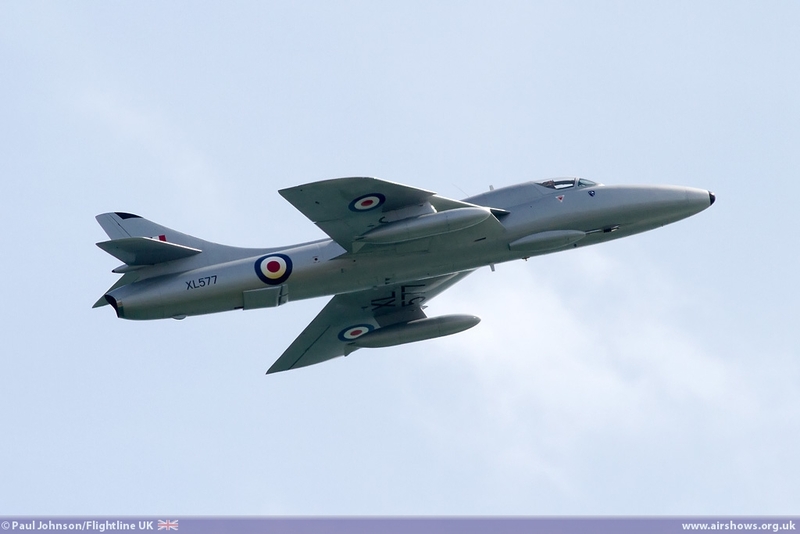 Their overall silver aircraft also looked fantastic against the blue water and sky. 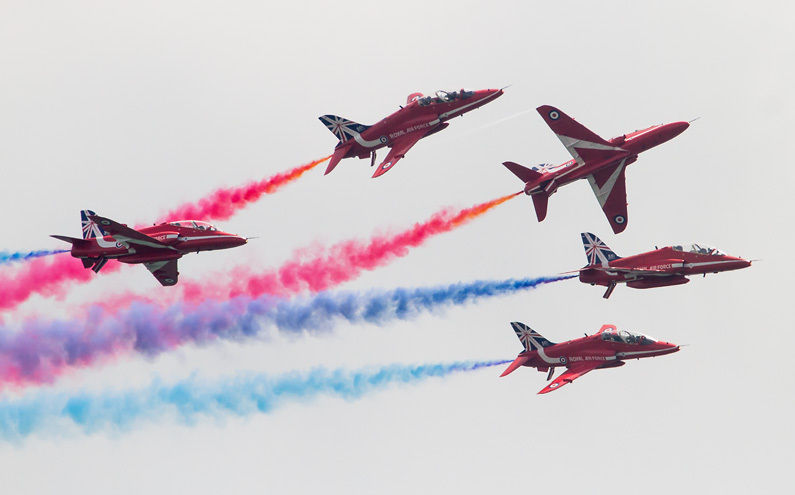 Since the event, it has been disappointing to read in the local press that the show appears to have made a loss with the Park and Ride car parking being under-used and the other usual airshow merchandise failing to sell despite a crowd of approximately 190,000 turning up! 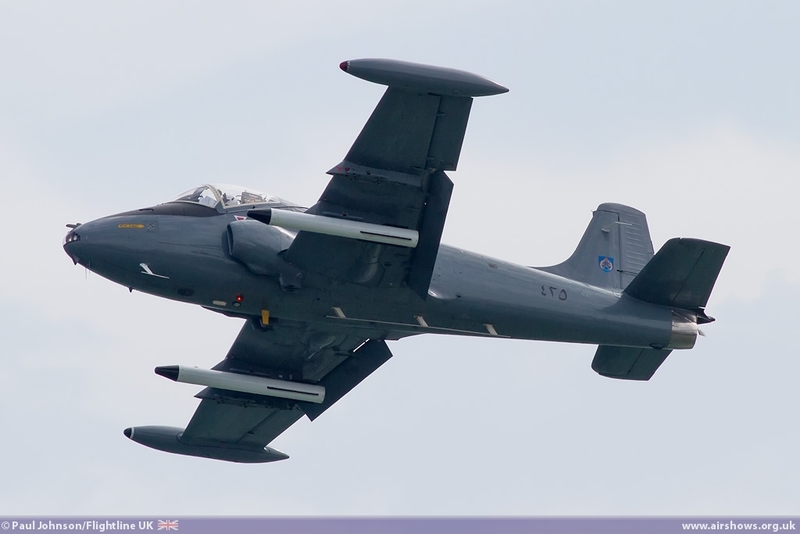 It would be a great shame if the event slipped away as the 2014 event was certainly a hugely enjoyable affair with the potential to become a great little air festival style event!